Time seems to be moving rapidly this year. When not rushing to meet class deadlines, I’ve been rushing to Moscow in preparation for a study of public green space in Russian cities. The people I’ve met stand out most for me, along with a sense of excitement in learning to understand urban plants, conduct site assessments, and communicate in Russian. 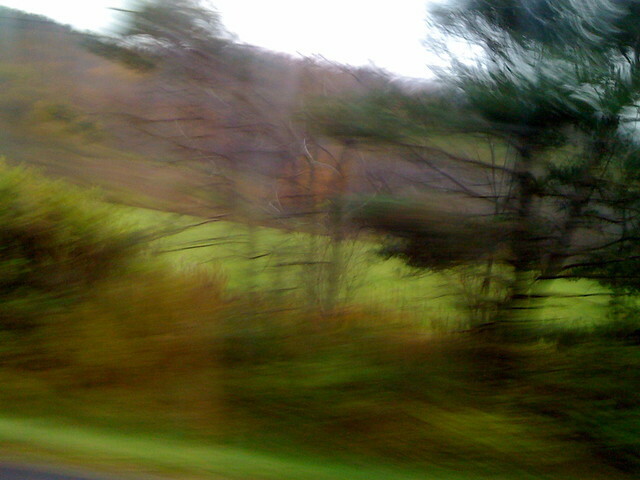 This experience is best captured in a picture of trees in fall, blurred with the movement of a bus. Looking closely at a specific subject has made boundaries between people less distinct. Our goals turn out to be similar, and opportunities for collaboration arise. I hope the new year continues in this direction. Text and photo by Peter Sigrist. This post is part of the 2010 Year in Review series. Anyone is welcome to submit a post by emailing colabradio@mit.edu with your text and image.